De:brief // The essential post-Unite gathering for Partners working at the forefront of the Shopify ecosystem. De:brief 2019 is an exclusive half-day event for Shopify Partners taking place directly after Unite 2019. It will bring insight, analysis and clarity to the many announcements made at Shopify’s annual Partner conference. Join 150 industry experts, colleagues, and friends to discuss the impact Unite 2019 will have on the commerce industry and our businesses. Each De:brief panel will be hosted by an industry expert who'll guide the conversation, ask the difficult questions, and invite discussion from fellow attendees. De:brief is for Shopify Partners and their teams. It will be an exclusive closed forum to give us all a chance to speak freely and share our views and opinions. 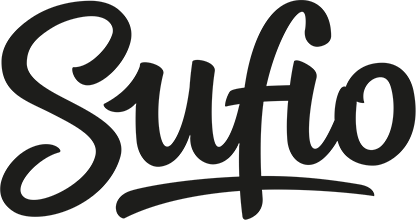 If you work in the Shopify ecosystem De:brief is for you. Come prepared to share your thoughts, ideas, and predictions for the year ahead. De:brief takes place directly after Unite on Friday 21st June 2019 from 11.30am – 6.00pm. We'll start with a delicious brunch and finish in plenty of time for you to catch your flights home. De:brief offers the chance for Shopify Partners to have their say and share their thoughts. Add your voice to the conversation and maximise the value of your trip to Toronto this June. We are very happy to offer a group booking rate. Enter the discount code GROUP when purchasing three or more tickets and receive 15% OFF your order. We have a small number of Founding Patron opportunities still available for De:brief 2019. Help us bring our industry together for a collaborative event that will set the tone for the rest of our year and cement your reputation as an altruistic, engaged member of this vibrant community. Cat Hunter (cathunter.co.uk) and Keir Whitaker (keirwhitaker.com) are your De:brief hosts. They’ve collaborated and worked together for almost a decade, including many years spent as part of the Shopify Partner Program team. Today they both work as independent product, engagement, and content marketing consultants helping Shopify focused businesses and their customers across the globe prosper. Their shared love of community events, the Shopify ecosystem, and a great Negroni inevitably manifested in the founding of De:brief.